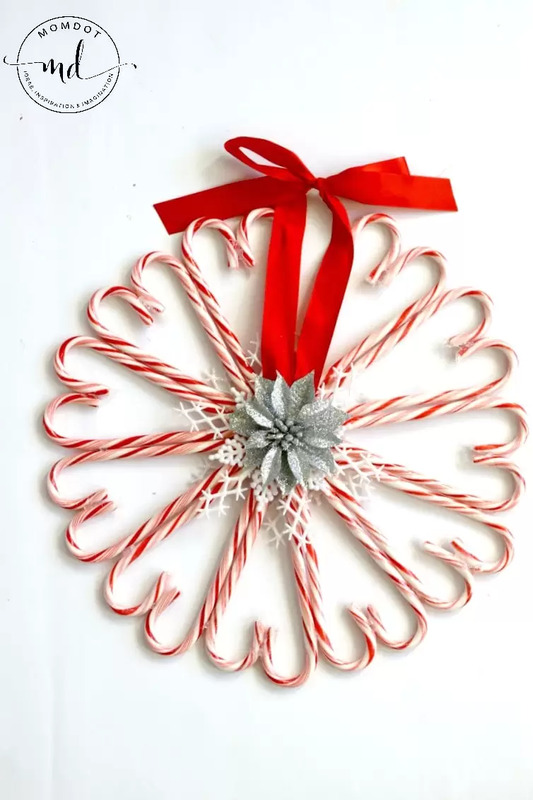 Make a Candy Cane Wreath that lays in perfect peppermint hearts and a beautiful red hanging ribbon this season to help bring some holiday cheer to the inside of your home. This inexpensive, fun, and kid friendly DIY loses all the complicated deco mesh that most candy cane wreaths have by skipping the difficult wreath tying. You simply make a Christmas Wreath with candy canes and hot glue and then easily decorate with loose ends like bulbs, flowers, or glitter! 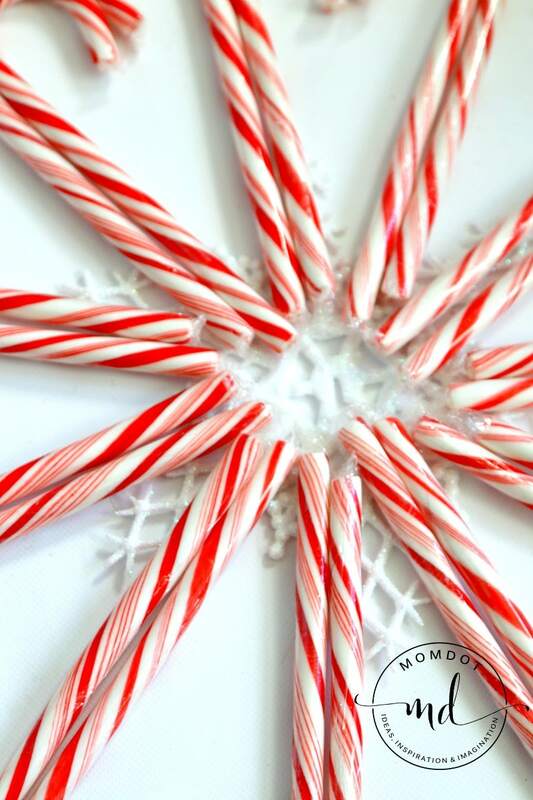 Learn below how to make a candy cane wreath! 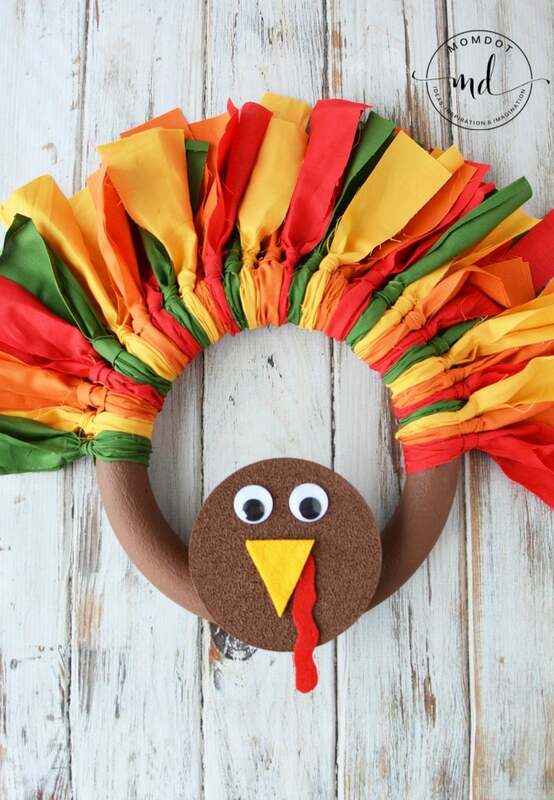 Door Clips – I like the door clips that you can easily put on the front of all your doors that hold holiday decorations like this candy can wreath so well. Then when the season is over, you just take them down in a snap! 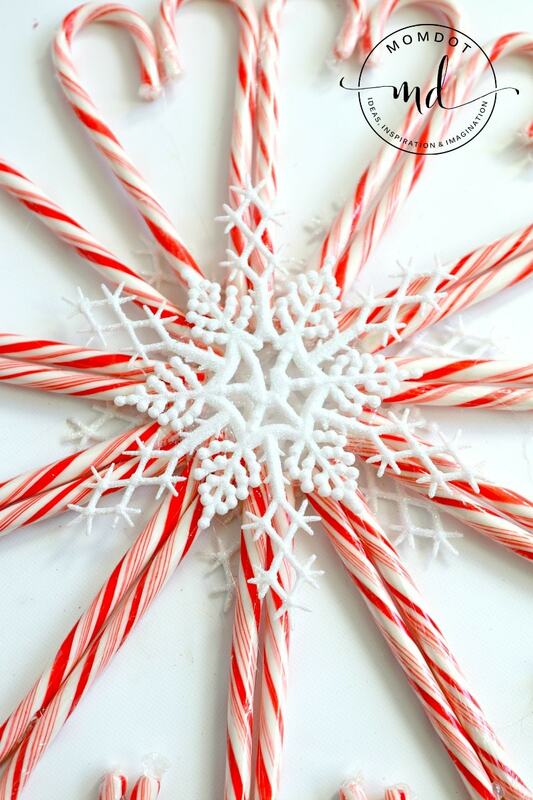 This candy cane wreath craft is so easy to make in theory. Its simply candy canes, hot glue, and some extra decor to fish it. That being said, the laying out and designing of the candy canes to keep them even is the hard part, so I suggest doing a practice run before gluing down. 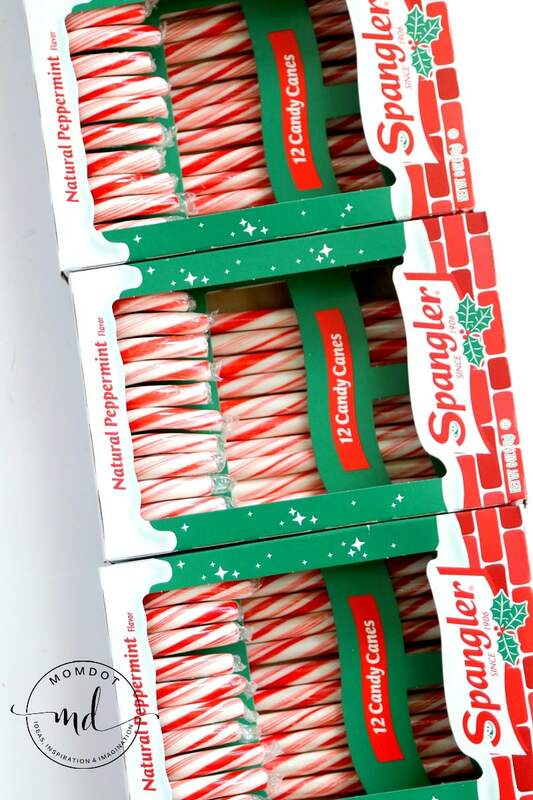 Candy canes are pretty uneven in length (i found that out doing this) so do not be overly worried if the ends don’t all line up. First lay down your base. In this case, I used a flat snowflake because I like the way they look, but could use a thick piece of round cardboard as well quite easily. 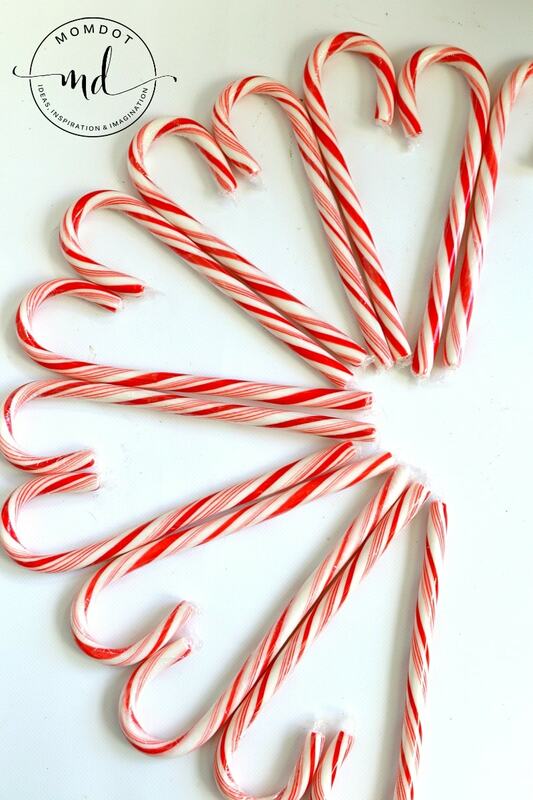 Now place your candy canes in a pattern around your base making hearts by alternating how they face. You may have to adjust the lean on them as you go around to make sure they are even or you will end up with a gap at the end. 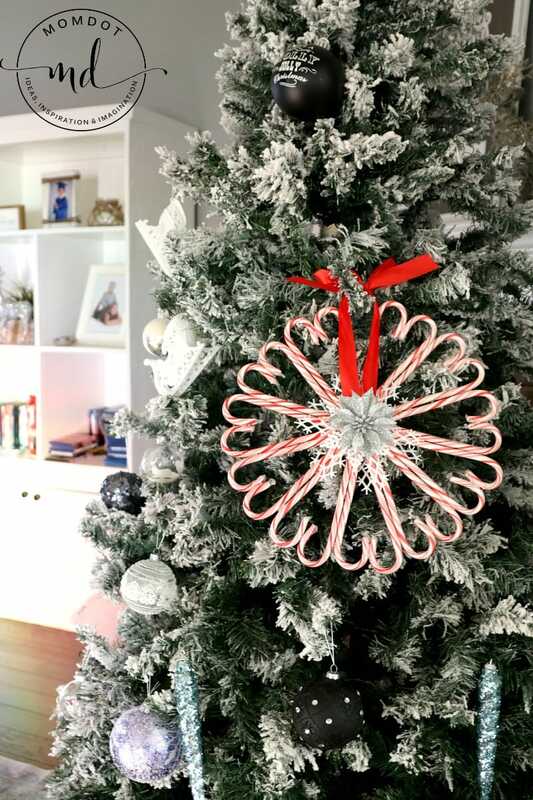 Even if you end up with an imperfect gap, you can easily fix this by adding your ribbon on that side that hangs (like we did with our Christmas Candy Cane Wreath~). I try not to get stressed out over crafts I am making and their perfection. You don’t need to be perfect to enjoy and I think that is one of the ways a lot of people miss the mark on creation. I made this along side my 6 year old and he did the spacing so we went with it. 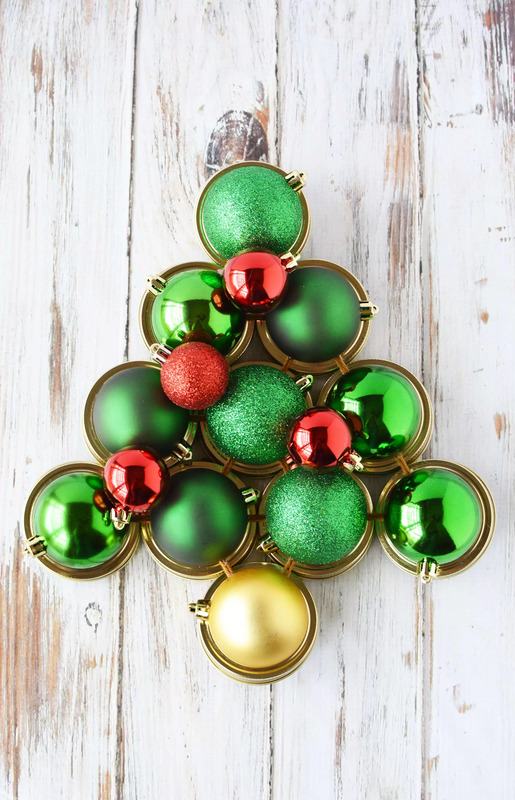 Looking for more Holiday Wreaths? 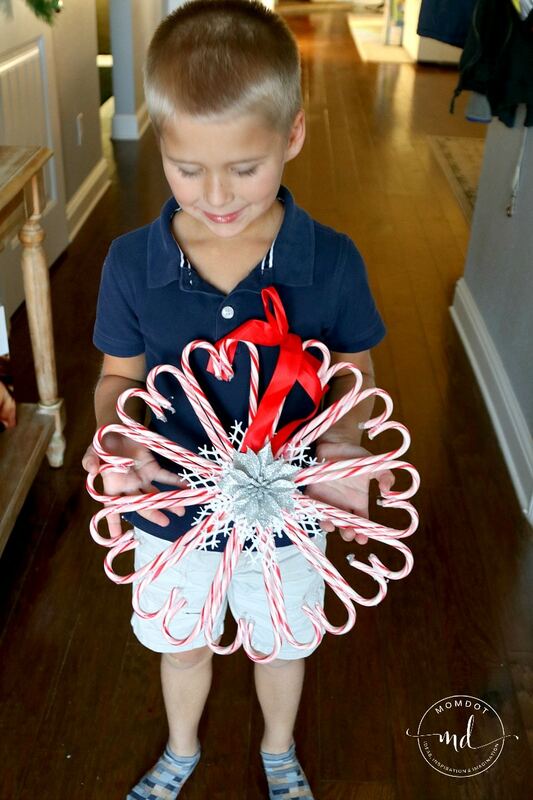 I love seeing how other bloggers made this awesome candy cane wreath- here is a great video! Wow! 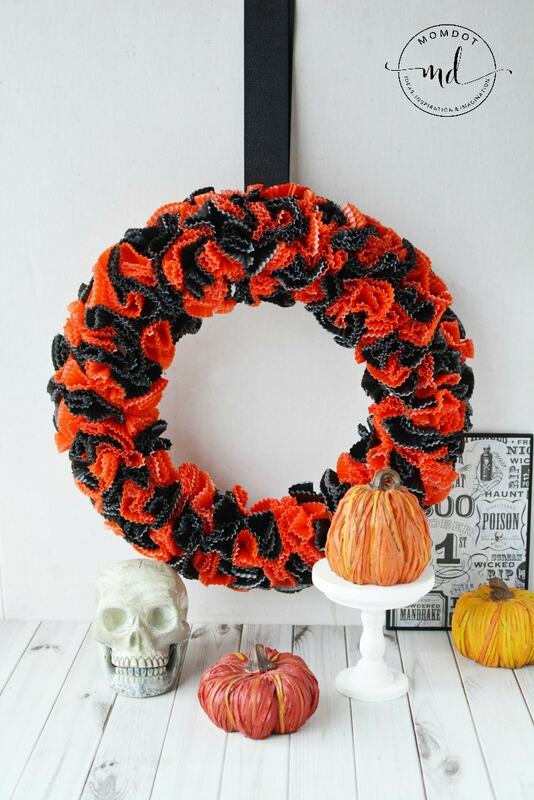 That is such a simple wreath to make but it adds such a big pop of color. I love it.